With arthritis-ridden knees and a cancer-stricken body, the older gentleman laid there in his hospital bed. Being in his last stage of life, Brian’s body was barely functional and his lowly speech was almost undetectable. Neither was his vision as clear as it once had been. Nevertheless, through all the chemotherapy he was blessed to still have a sharp brain in his last few days of life. This came in handy, as the only two things he had left in his life were his relationship with Christ and family. Brian’s granddaughter, Alex, walks into the hospital room. They say it is not right to have “favorites” amongst family members – however, the old man adored Alex. Not only was she his favorite but she also was following in his footsteps by attending his college Alma mater, Clemson University. She was entering into her junior year majoring in history and sociology. She’d visit him regularly during his early stages of cancer. A hint of jealousy would sometimes flow through his veins as he noticed the energetically familiar gleam in his granddaughter’s eyes as he listened to her tell stories of her adventures in Clemson. Today is different. She is different. Brian noticed, through his blurry vision, an unfamiliar facial expression on Alex’s face as she walked in. Her footsteps slow and purposeful. Her posture tense. She avoided eye contact. “Oh gosh, this can’t be good” Brian joked aloud in a whisper, attempting to put a smile on Alex’s face. Those words naturally developed nervousness in the elderly gentleman. He immediately began thinking of every wrong he may have done in the past. “Go ahead Sweetheart,” Brian managed to reply in a soft voice. Silence ensued. Memories of Netflix marathons, Super Bowl parties, YouTube videos, innumerable hours at the gym, and girls flooded the old man’s mind as the remembered the things he focused on during that time period. He sluggishly responded, “But … back then … science was cloudy on that topic. With limited technology anyone was able to back either side with science. “ Brian hoped that answer would be sufficient and she’d move on. “What about the fact that the Bible already gave you the truth?” Asked Alex. “Sweetheart…” the old man pleaded; as to again insinuate the desire for a topic change. Vexed with shame, the old man laid still in his bed. The pain of his granddaughter’s disgust outweighed the physical pain of his cancer. Expectantly, his heart could take no more. His heartbeat grew uncontrollably fast into a cardiac arrest. Alex yelled for a doctor. Tears feared her eyes. 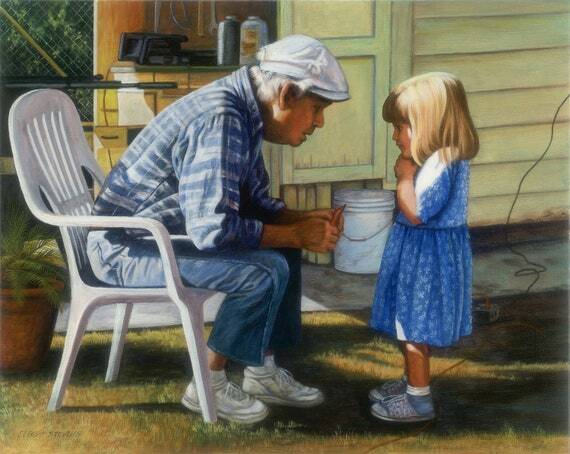 “I’m sorry Grandpa!” she exclaimed. “No. No. No, I’m sorry … Alex” he exhaled – his final breath. Suddenly, Brian awoke from his deep sleep. He was young again, sitting on the couch with his laptop in his lap. He realized it was all a dream. He glanced at his laptop to see an internet article on abortion. Presumably, he concluded that the article must have put that nightmarish dream in his mind when he read it before his nap. The hand of an 8-week old. 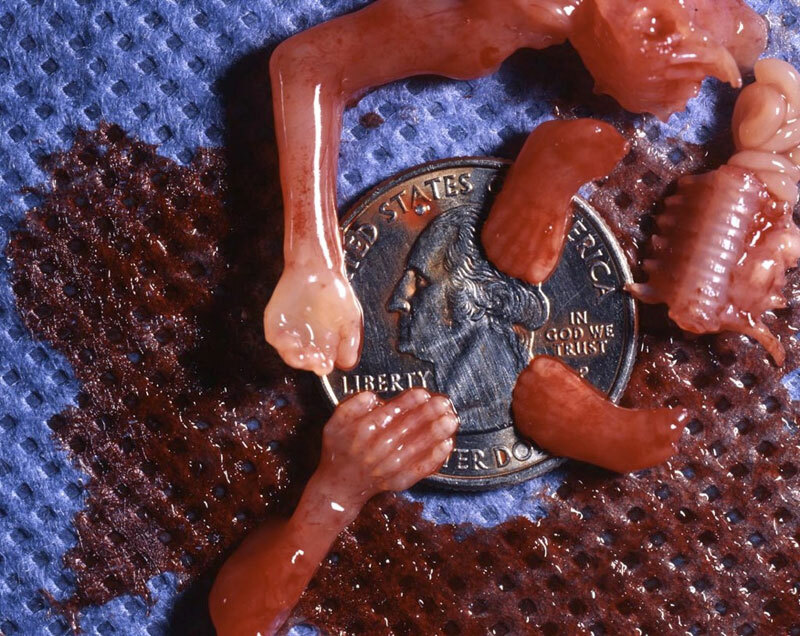 Aborted after 8 weeks.